Hebrews 6:17-19 But, you can absolutely count on, without a doubt, that God’s promises and His Word will always be true. The writer of Hebrews said “There are two unchangeable or immutable things: God never changes and it is impossible for God to lie. 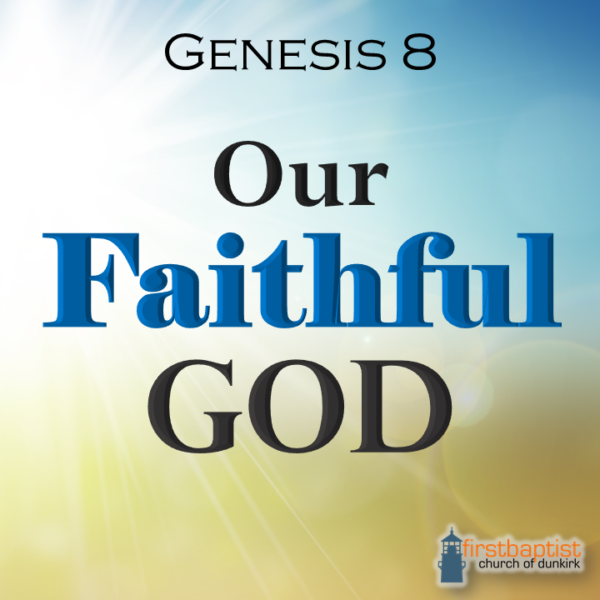 This is a sure and steadfast anchor for your soul.” God’s faithfulness is the only constant we can count on. But there is one other thing God cannot do. I’ll talk about that later. God cannot allow sin or an unforgiven sinner into His presence or into heaven. The good news, the Gospel according to 1 Corinthians 15:3-4, is that Jesus Christ died for our sins, He was buried and He rose again. Jesus paid the penalty for my sins – for your sins and He offers complete forgiveness if you come to Him, acknowledge your sin, and accept His gift of forgiveness and an everlasting relationship with God. If you have never trusted in Jesus alone as your Savior, contact me at through the church office at 716-366-6634 or at pastormark@dunkirkbaptist.org.